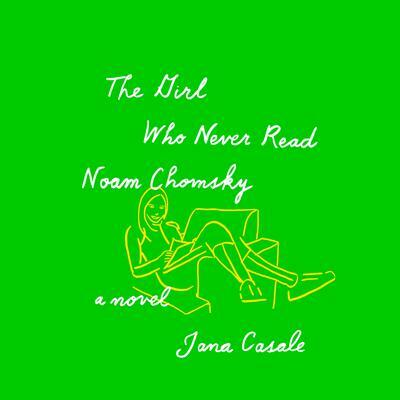 An ambitious debut, at once timely and timeless, that captures the complexity and joys of modern womanhood. This novel is gem like—in its precision, its many facets, and its containing multitudes. Following in the footsteps of Virginia Woolf, Rona Jaffe, Maggie Shipstead, and Sheila Heti, Jana Casale writes with bold assurance about the female experience. We first meet Leda in a coffee shop on an average afternoon, notable only for the fact that it’s the single occasion in her life when she will eat two scones in one day. And for the cute boy reading American Power and the New Mandarins. Leda hopes that, by engaging him, their banter will lead to romance. Their fleeting, awkward exchange stalls before flirtation blooms. But Leda’s left with one imperative thought: she decides she wants to read Noam Chomsky. So she promptly buys a book and never—ever—reads it.